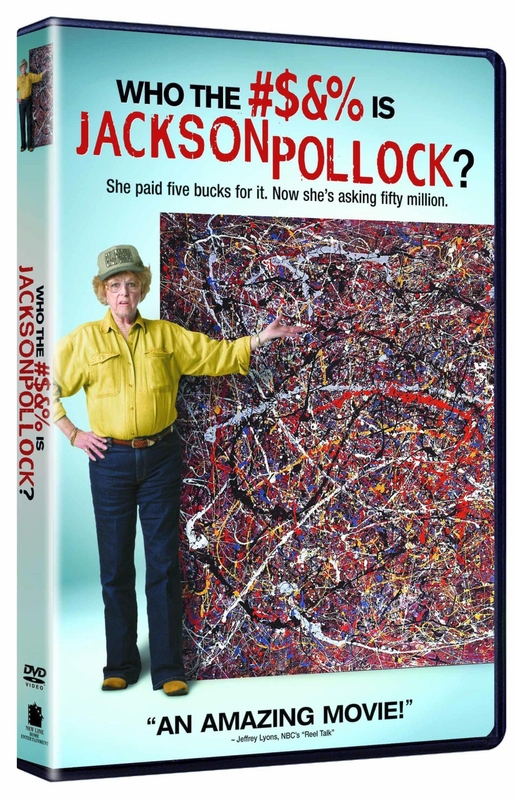 Has anyone seen the documentary about the lady truck driver who has found an alleged Jackson Pollock painting in a thrift shop? It is titled “Who The #$&% Is Jackson Pollock”, and was made about a decade ago. If you haven’t seen it – look for it and watch it online. Essentially, California truck driver Teri Horton “devoted much of her time to bargain hunting around the Los Angeles area.” In the 1990’s she found a $5 painting in such a place and subsequently pretty much discovered that it was a Jackson Pollock original, possibly worth as much as $50 million dollars a decade ago. The documentary is highly entertaining – but the lesson here is a class lesson. The issue of Horton versus the “art world” predictably developed into a class war of sorts. I haven’t kept up much with it, and it has been more than 25 years since the California resident bought the 66-by-48-inch abstract painting that revealed some of the deep class issues within the art world. From memory I even recall a TV show discussing the fact that Horton’s alleged Pollock has a fingerprint that apparently has been found to be the fingerprint of Jackson Pollock. Also, forensic experts had also determined that the paint in the alleged Pollock is the same paint used in certified Pollocks. She has declined $2 million from a dealer and later $9 million from a Saudi art collector, as those figures are not even close to what a certified Pollock would bring. But that assumes that the art world “experts” that swore up and down that Horton’s find was not a real Pollock are willing to admit that they were wrong. Still the art world has not coming to knock on Horton’s door to sell the painting. Is this a class issue? And on the art world side, we’re all supposed to be militant lefties, always on the side of the poor, downtrodden masses, always on the prowl and look-out for the evil Republicans’ latest plots and ideas, especially when it comes to art, in any manner or form. But the art world leftwingers make a curious right turn when it comes to the masses and to the public in general. If the public likes it, it can’t be high art. If a trucker discovers the art find of the century, it can’t be true. So it is easy to see why the Horton affair was picked up as a 60-minute type documentary as an example of a convenient class battle between art world elitists and people who drive trucks and have no idea who Jackson Pollock was. And it makes it juicier when the “experts” and elitists are proven wrong (by science), and rather than offering a good ole “aw shucks folks, we wuz wrong,” apology, they retreat into their galvanized white cubes and refuse to admit that probably science is right and what Horton found in a California thrift shop should have made this California lady super rich… but didn’t. And as usual, classy or class-less, money talks, and if I was in those experts’ expensive shoes, I’d be worried, because they’re still dealing with a tough, trash-talking, ex-trailer mamma… and I suspect that before long, her painting will make a debut at a fancy auction somewhere… I hope.